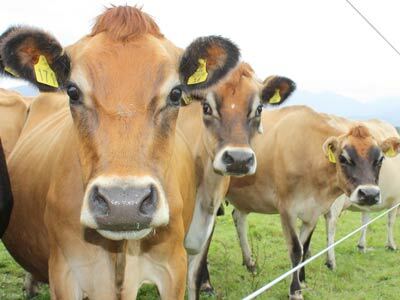 The farmer-initiated West Coast Monitor Farm Project, led by a trust of farmers, was created in 2008 to develop a database of reliable pasture growth rates for four dairying regions on the West Coast. A range of data, including milksolids production and rainfall, is now collected from farms in Greymouth, Westport, Ikamatua and Kowhitirangi. Every season the farms are analysed to identify trends and a comparison is made between seasons (going back to 2008). This information is shared through field days, discussion groups, emails and weekly DairyNZ Farmwatch reports. The Ikamatua monitor farm completed its third season of irrigation in 2013/14, with just under 30 percent of the property under pivot irrigation, which draws water from the nearby river. The Greymouth monitor farm is a recent replacement in the monitor farm programme and has a farm programme which includes extensive use of a 400 cow herd home and stand-off facilities over the winter and early spring period. The Westport monitor farm has a large portion of the grazing area that can remain under water when the Buller River is in flood. The Kowhitirangi monitor farm has the highest annual rainfall of all the farms in the monitor farm project.